BRYAN EATON/Staff photo. 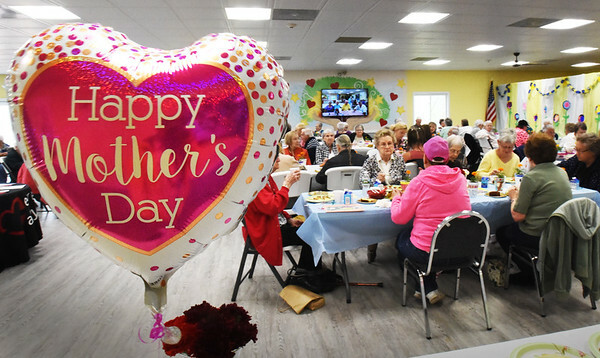 The Salisbury Council on Aging hosted at Mother's Day Brunch at the Hilton Center on Monday morning. Students at the Salisbury Elementary School's Kid's Inc. Club made decorations for the event.